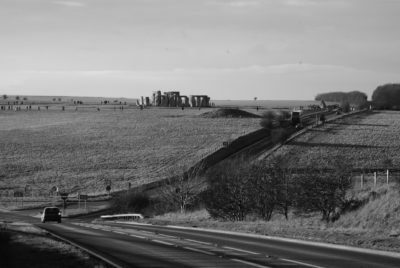 Highways England have announced a further consultation on planned changes to the design detail of the planned £1.6bn A303 Stonehenge Upgrade. The scheme will improve journeys on the busy route, creating a much-needed bypass for Winterbourne Stoke, while preserving the Outstanding Universal Value of the 6,500 acre World Heritage Site. As part of its £15 billion road strategy the Government is committed to upgrading all remaining single carriageway sections of the A303/A358 between the M3 and M5 to dual carriageway standard. The A303 at Stonehenge, the A303 between Sparkford and Ilchester, and the A358 between the M5 Taunton and the Southfields Roundabout on the A303 are the first three schemes in the strategy. CECA has previously described the A303 upgrade as having the potential to open up the economy of the South West, improving journey times and cutting congestion, but also said that any proposals to improve connectivity around Stonehenge must respect the archaeological integrity and uniqueness of the monument. moving the proposed modification of Rollestone crossroads to provide a more compact layout. Commenting, Highways England Project Director for the A303 Stonehenge scheme said: “We had a great response to our earlier consultation and have acted on the feedback. We now want to get people’s views on our proposed changes to our original consultation. “The further feedback we get will allow us to make sure we have got the best scheme before we make our application later this year to build the scheme. The second consultation period will be from 17 July to 14 August. For further details see the consultation page and the scheme web page.